A Business Plan helps you evaluate the feasibility of a new business idea in an objective, critical, and unemotional way. It provides an operating plan to assist you in running the business and improves your probability of success. It communicates your idea to others, serves as a “selling tool,” and provides the basis for your financing proposal. The business plan is the right tool to ensure the business will stand the test of time. 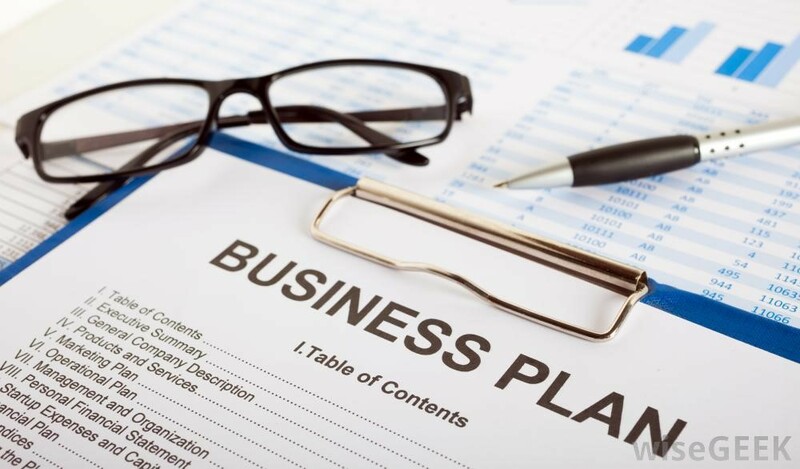 With the business plan in hand, owners and employees are equipped to insure that the business is being built to a common vision. A collaborative business plan evaluates and refines your business culture to ensure the alignment of your vision, values, and mission. When you have understood the need for a business plan, the next step would be to roll up your sleeves and get down to writing one. This the doorway to your plan. After reading this your target audience may either discard your entire plan or continue reading it. Therefore it is important to get the right content here that keeps your reader completely engaged to continue reading. Summarize the problem you are solving for customers, your solution, the target market, the founding team, and financial forecast highlights. Keep things as brief as possible and entice your audience to learn more about your company. You need to describe the problem you are solving and how your products or services stand apart. Make sure that you always keep the end customer in mind while writing about your products and services. This section should clearly highlight what you are selling and how your products and services fill a need for your customers. A market analysis forces you to become familiar with all aspects of the market so that you can define the target market and your company can be positioned in order to garner its share of sales. Use this section to discuss your customers’ needs, where your customers are, how to reach them and how to deliver your product to them. The purpose of this section is to provide investors with a description of the product’s design, chart its development within the context of production, marketing and the company itself, and create a development budget that will enable your company to reach its goals. You need this section to describe just how the business functions on a continuing basis. The operations plan should highlight the logistics of your company such as the various responsibilities of the management team, the tasks assigned to each division within the company, and capital and expense requirements related to the operations of the business. You may also want to cover the technology you plan on using, your business location and other facilities, special equipment you might need, and your roadmap for getting your business up and running. Finally, you may want to outline the key metrics you will be tracking to make sure your business is headed in the right direction. This is perhaps the most important part of your business plan. This section should include your projected Profit and Loss and Cash Flow tables, and a brief description of the assumptions you’re making with your projections. 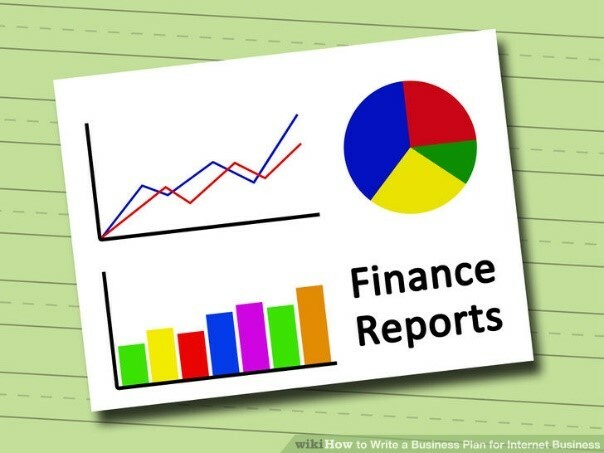 You may also want to include your balance sheet, your sales forecast, business ratios, and a break-even analysis. If you are raising money or taking out loans, you should highlight the money you need to launch the business. 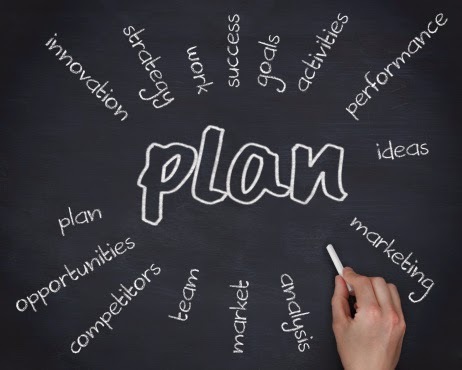 It is mandatory to keep the business plan as short and simple as possible because the target audience may not necessarily have the time to go through a long and detailed plan. 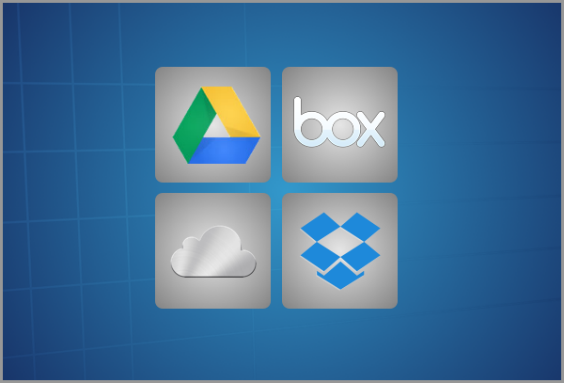 With the availability of many tools and apps, it has become easier to write business plans because you get all the resources you need in a single package. 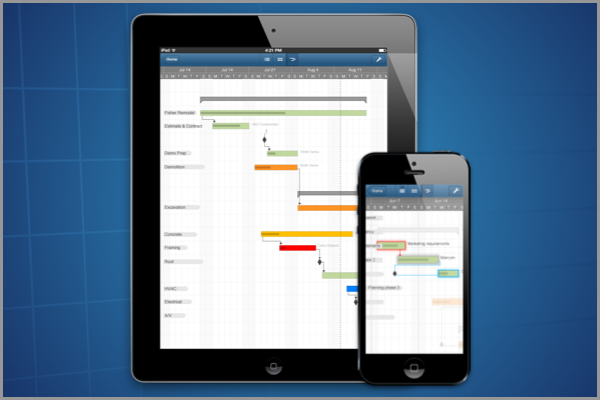 Project Planning Pro is a project management app but it also helps you to create business plans. You can put your complete development strategy in the app and generate multiple views such as Gantt view, Calendar view, Critical path view, Timeline view and Resource Sheet to analyse and review your plans. 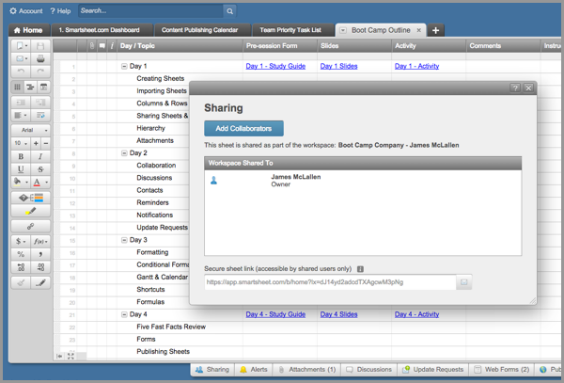 You can also create plan templates and share the plans with the various stake holders in your business. Project management should be implemented in small as well as large organizations. It does not matter how small a business is, but project management certainly ensures that tasks get done quickly and efficiently.It is essential that every business should achieve its project goals within a fixed budget and a given time frame. Project goals define the business value of the projects, and the team’s efforts to deliver the assigned projects within the stipulated time frame and budget. Achieving this is a challenge for small ventures as they have very few resources compared to big organizations. This involves identifying the right project management method and applying it to accomplish all the project goals. This needs effective communication and collaboration within the team. It is vital to choose an appropriate tool for successful project management. Small businesses face a dynamic and complex business environment, and requirements are often revised halfway through the project, and demands increase unexpectedly. Unfortunately, small businesses are equipped with few resources and an inflexible budget. If you walk into the new offices of small businesses, you can expect to see notes sticking on the desks of the employees. Such “reminder notes” usually serve as notifications for projects or other operational work on which they are assigned. Examples of projects carried out in small ventures are building a company website, initiating the office in a new location, or materializing a new product. When we cite a small business, we are indicating organizations with 100 or less employees. The best computer programmer or any other entrepreneur when starting their own business, at some point, will need to do risk assessment, a marketing campaign or a tie-up with some large companies to do business that have a formal project management process. Small venture projects can be deal-breakers if they go poorly, doing it well is essential and the project management process can help assure that one does things well. Projects are always bound to a timeframe. Effective project management assures fulfillment of individual tasks and the whole project within record time. 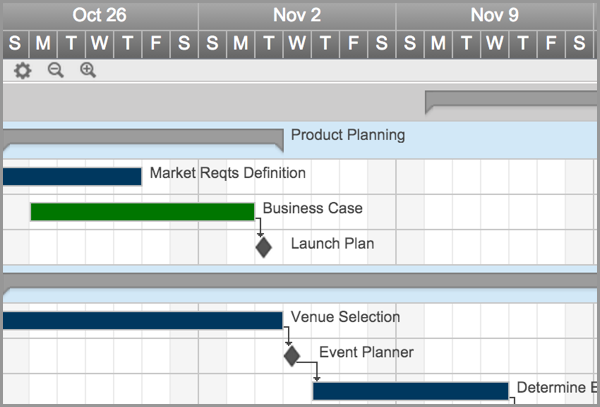 Applications that develop Project Evaluation and Review techniques, or PERT charts and Gantt Charts lets you keep a track of the improvement of work. The schedule is often designed to entertain even the largest projects, but they phase out to work for the projects of small businesses as well. Tracking costs is crucial for small business projects, because businesses usually have limited financial resources. The scheduling applications can be more clear and cost effective with respect to a traditional budget which shows the major cost items and columns for predicted costs, purchased cost, and paid cost. As the project is in its completion phase, and more of the columns fill up with identical numbers, one can get an idea of the direction that the project is taking. 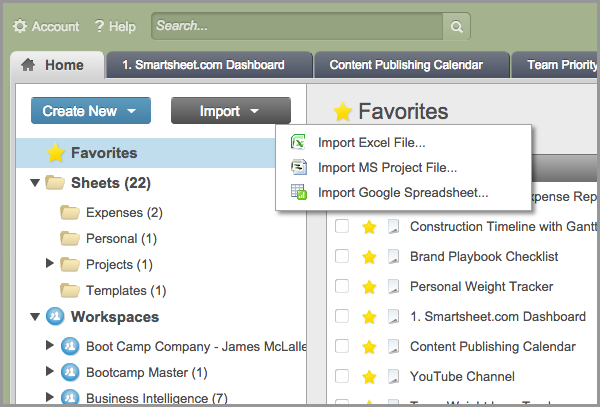 The best benefit of using project management software is that everybody is on the same page. There are no absent e-mails, papers or misunderstandings due to contact failure. Time management is most essential while planning and executing projects. One must ensure that the project does not cross the deadlines and enough time is given for the successful implementation. Project Management software helps to schedule the project and also capture any delays well before time..
Learning is important for small businesses, because most of the people execute the same work for future projects. An important function of project management software is to learn from experience. A collaborative environment without blaming others is essential for effective evaluation. An effective assessment at the end of the project management process enhances team adherence and improves company self- confidence.Project management offers financial worth to any size of businesses, regardless of its magnitude. It is essential for the success of any businesses and assures profitable delivery of the project. It also helps one deal with other prospective aspects of the business that are essential to the growth of the firm. Implementing a proper project management application is a key uplift for the business to move to the next level.The elegance in using project management software that everything is written down in a document. It means there is a complete reference for future projects. One can determine where faults occurred, whether the project went past the budget, the lags and their causes, where enhancements can be made and so on.As the owner of a small firm, project management will help one attain the business goals faster and more effortlessly. • Creation of multiple tasks giving one’s to-do list a better structural approach. • Reminders that notify the managers about the upcoming deadlines and the milestones to be achieved. 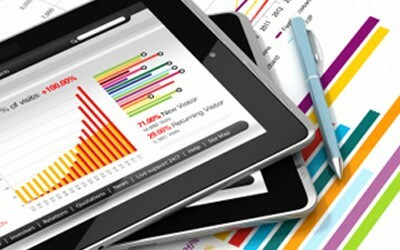 The Project Planning Pro App is a global application suitable for small-scale business. Be it assigning tasks or setting goals or milestones for one self, a Project Manager can use this tool to carry out all the functions effectively in the simplest way possible.The app is cost effective and easy to use which doesn’t require much of technical knowledge which helps small scale business owners to complete their tasks on right time by not exceeding their budget. It is suitable for small scale businesses as it is much cheaper than it’s counterparts and has most of the features which a small scale business owner needs to manage his projects. Millennials are people born between the 1980s and 2000 and are also known as Generation Y. Our workforce is now dominated by the millennials. According to a Pew Research Centre analysis of U.S. Census Bureau data, one out of 3 American workers are millennials, and in 2015 they surpassed Generation X to become the largest share of the American workforce. A study by Ernst and Young in 2013 showed that while Generation X is more entrepreneurial in spirit they rank low in the executive presence, and the Millennials are tech savvy but are not great team players. As we see a shift in the age group and attitude of the workforce, there is a great need to shift away from traditional processes while managing an organisation or a project. As firms look for the best and brightest leadership, many energetic Millennials are picked as managers. Not surprisingly, age differences can cause real relationship barriers and disrupt team dynamics on a project. This article contains some tips for Millennial Project Managers to efficiently manage projects. It is a well-known fact that millennials do not bother much about the run-of-the-mill processes and are constantly trying to promote their own ideas and bring about change. However, when they bring their opinions to the table, it is often with a lot of aggression. Millennials need to lead the way as change agents. They need to work hand in hand with the management to bring change that is tied to business outcomes. The HR function has a significant role to play in bringing this shift in workplaces. Disrupting an existing process may be the best option available for project managers, but it is important to remember that disruption succeeds only when it gives replaces something existing with something better. Disruption without positive intent is destruction. Leaders need to take this aspect into consideration when trying to formulate a vision for the company and build a culture that fosters disruptive innovation. In a survey conducted by Deloitte, six out of ten millennials said a sense of purpose was part of the reason they chose to work for their current employer. Having a sense of purpose is a key differentiator and can add tremendous value to an organization. Leaders need to ensure that there is a strong vision in place for millennials to subscribe to; one that goes beyond the mundaneness of everyday tasks. In a flat world like ours, where time zones and geographical distribution does not really matter for people, millennials want to be heard and to be part of the decision making process. A workplace that encourages inclusive decision making, collaboration and two way communication is the ideal millennial workplace and they shouldn’t settle for anything less than that. While Processes, Tools, Guidelines, and Best Practices, may sound lame and boring, but they work. It is important to be open to a structured working environment because in this age or any, standardization holds the key to being productive. It also keeps chaos at bay. On the other hand, companies need to invest in tools that provide intuitive and engaging user experiences. Project Leaders need to focus on bringing creativity and innovation into a process oriented work environment. • Important project milestones to be achieved. Another unique feature of Project Planning Pro is sharing the plans in the CSV or PDF format with all the project stake holders. This makes it easy for the project managers to communicate with the project team members and track the project through completion..